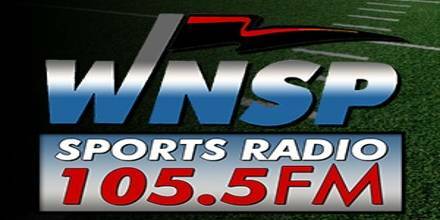 WNSP FM 105.5 also familiar as Sports Radio 105.5 is an online based radio station licensed to serve Bay Minette, Alabama, USA and providing live, local sports talk programs. Here also broadcasts mixed selections of songs in English. English is the major language of this radio. Since September 11, 1993, this station has broadcast a sports talk format to the greater Mobile metropolitan area. It is currently owned by Dot Com Plus, LLC. WNSP is the flagship station of the University of South Alabama men’s basketball radio network. The station is the Mobile affiliate of the New Orleans Saints radio network and both the Auburn Tigers football and Auburn Tigers basketball radio networks. Networks: South Alabama Jaguars; South Alabama Jaguars (Football); New Orleans Saints. To get more information just visit, WNSP FM official website: wnsp.com/wordpress. In addition to its daily lineup of local programs covering the Southeastern Conference, golf, hunting, fishing, NASCAR, and other regional sports, the station features select programming from ESPN Radio. On February 16, 2009, the station began airing the regionally syndicated The Paul Finebaum Radio Network on weekday afternoons, replacing a locally-hosted program. Popular programs include: Sporting News Radio Network, All Night With Jason Smith, ESPN GameDay, ESPN GameNight, The V Show, Mike and Mike In The Morning, The Erik Kuselias Show, ESPN SportsCenter, The Herd, Tirico and Van Pelt, Football Tonight, The Brian Kenny Show, Best Of Mike and Mike In The Morning. Besides, Race Day on ESPN Radio, The John Kincade Show, Best of ESPN, Public Affairs, Tiger Talk, The Paul Finebaum Radio Network, Prep Sports Weekly, Basketball News, Inside Alabama Racing, Prep Sports Report, The Joey Jones Show, The John Racciatti Golf Show, The Ronnie Arrow Show, The Strike Zone Live, Tide & Tiger, WNSP Outdoors etc. programs are also popular. WNSP also partners with NBC Sports, Fox Sports, is the local affiliate of the South Alabama Jaguars, The New Orleans Saints, CNN and the Weather Channel with hourly updates. Beginning with the 2009 college football season, WNSP became the affiliate for the University of South Alabama Jaguars football program. Hosts: Tim Brando, Steve Czaban, Bob Berger, Max Howell, Randy Burgan, Rick Cleveland, Tommy Praytor etc. This station began regular broadcast operations on October 1, 1964, as WBCA-FM. Broadcasting with 3,000 watts of effective radiated power, the Faulkner Radio, Inc.-owned station was the FM sister station to WBCA (1110 AM). As with the AM station, the WBCA callsign was said to stand for “Wonderful Baldwin County Alabama”. In August 1985, the Faulkner family agreed to transfer control of licensee Faulkner Radio Inc. to Faulkner University. In March 1986, Faulkner Radio Inc. agreed to formally transfer the broadcast license for WWSM to Faulkner University. In March 1987, Faulkner University reached an agreement to transfer the WWSM license to a new company called Faulkner-Phillips Media Inc. The new call sign was chosen to accompany a new sports talk format which launched on September 11, 1993. WNSP claims to be the first sports talk station in the United States to operate on the FM band. With Clear Channel unwilling to continue the LMA, WNSP’s owners reached an agreement in May 1998 to sell this station to Dot Com Plus, Inc. Since September 11, 1993, WNSP has broadcast a sports talk format to the greater Mobile metropolitan area. WNSP is the flagship station of the University of South Alabama men’s basketball radio network. The station is the Mobile affiliate of the New Orleans Saints radio network and both the Auburn Tigers football and Auburn Tigers basketball radio networks. Beginning with the 2009 college football season, WNSP became the affiliate for the University of South Alabama Jaguars football program. Liveonlineradio.net has WNSP FM 105.5 in its listings. Just click and enjoy. WNSP FM 105.5 – www.liveonlineradio.net/alabama/wnsp-fm-105-5.